Rehoused in 1981, the Royal Army Medical Corps Museum at Keogh Barracks, Ash Vale, demonstrates the history of the Army Medical Service. The museum was opened in 1981. Some relics from the Crimean war can be seen, as well as a horse drawn ambulance used in the South African war at the end of the 19th century. There are Hanoverian Army medical instruments from 1715, Napoleon's dental instruments, watercolour drawings of the wounded at Waterloo, an electric bullet extractor and branding instruments used on deserters. There is also mobile field anaesthesia apparatus and a mobile surgery table with a mock casualty. Open Mon-Fri 9.00-16.00 and weekends by appointment. Much of the 18th century hospital building remains. The hospital has a small museum containing a large and varied collection of instruments dating back to the 18th century, many pathology specimens and a comprehensive display about tattooing. Built around 1622, the pest house can be found near All Saints Church. It has a single room built of brick and tile and was intended as an isolation hospital for victims of plague and other infectious diseases. It was restored by the Odiham Society in 1981 and is used as a heritage centre. Amongst the rich heritage of naval history, there are a number of items which are of interest to the medical historian in HMS Victory and the Mary Rose exhibition. Visitors to the former vessel , an 18th century warship, can view the surgeon's quarters. 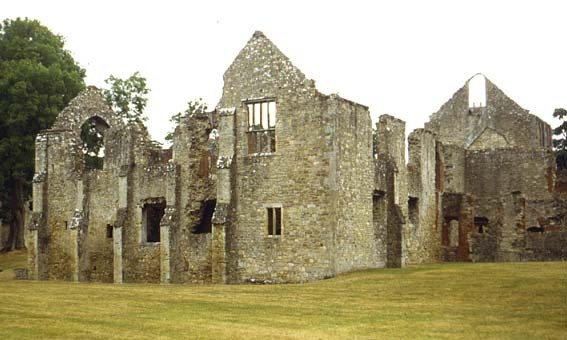 Netley Abbey. The remains of a cistercian monastery three miles south east of Southampton (off the A3025) are reasonably well preserved and has a small infirmary built over a brook with a rere-dorter above. The chapel is all that remains of nearby Netley Royal Military Hospital a military infirmary built in the early part of the nineteenth century overlooking Southampton water which was demolished in 1966. Passengers taking the ferry to France will have seen the rather striking cupola surmounting its tower.